You can get directly from Tupelo, or you can buy from me for only $10.00 (all included). Just drop me an email. Go to Contact above. I began writing these stories the year after the birth of my daughter, when both the joy and the terror of being a parent were so vivid to me. From San Jose to Taiwan and Moscow, the characters here struggle to hold on to what is most important to them, and learn, too, to live with what has been lost. 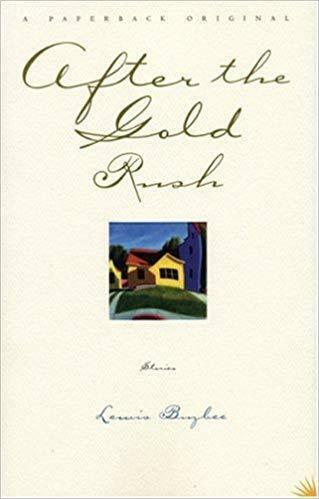 "After the Gold Rush is all about family—sweet and bittersweet. Buzbee gives us the essential characters and predicaments—mothers, fathers, sons and daughters. It is wonderful to have such clear-eyed and mature sentiment about these most basic losses and gains." In that long still moment after the crash, I knew that Halley was already dead and that Ella wasn't, and I was filled with rage that Halley would leave us. Ella was unconscious but breathing. It would turn out that Halley wasn't officially dead yet, she would survive three days of intensive care in a Greek hospital where the staff's English was so perfect they could describe every detail of her condition to me. Waiting for help to arrive on that hairpin curve, I knew Halley was gone, that the envelope of time that was my wife had already been sealed. I did not speak any words aloud in our overturned rental, the silence there was too immense. Instead I seethed, cursing Halley for leaving us alone, for allowing me to be the driver and the one who'd killed her and almost killed Ella, for those long years of empty afternoons Ella and I would have to face together. I hated Halley then and don't know that I'll ever forgive myself.